I've tried the Real Techniques Miracle Complexion sponge (post here if you fancy a look) but have never tried The Original Beautyblender (probably because it's three times the price!). When I spotted that the June Birchbox included a Beautyblender this was one of the products that made me decide to order the box as a one off. Birchbox started releasing a few spoilers about the box and when I read that 'some' subscribers would receive this I prepared to throw a full on diva strop if I didn't see one nestled in my box when it arrived! Fortunately this was one of the products I received. If you'd like to see what else was in my June Birchbox you can find the post here. Just in case you've not come across the Beautyblender before this is a makeup sponge that comes in a super cute little egg shape. Mine is a bright pink colour but I believe you can also get them in black and white. 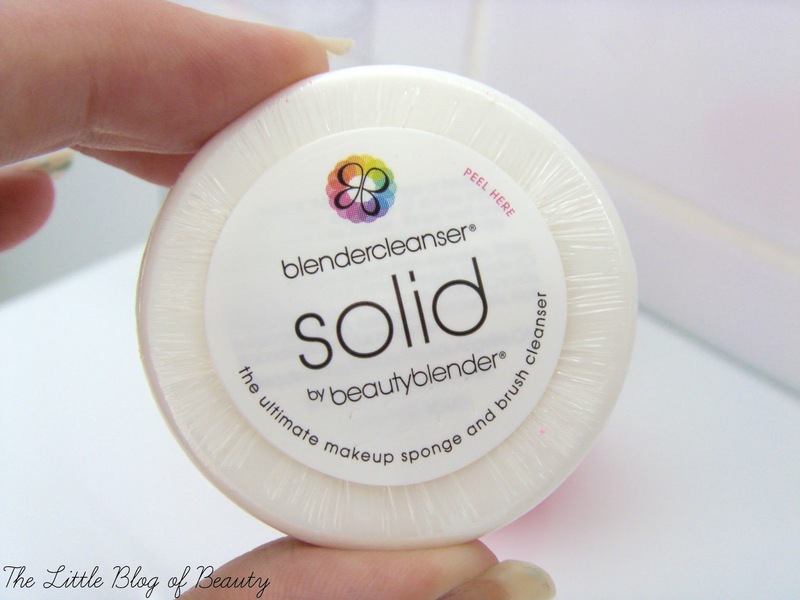 The Beautyblender on its own is £16 but mine also came with a solid Blendercleanser soap (that name tickles me!) that can be used to clean both the Beautyblender and any makeup brushes that you have and this little set is worth £26. 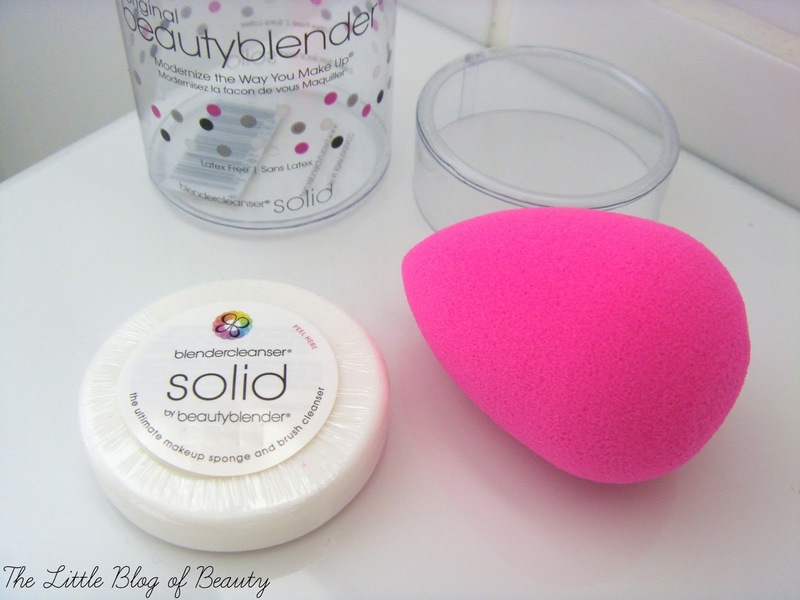 To use the Beautyblender you run the sponge under cold water and squeeze out the excess before placing it inside a towel and pressing between your hands to ensure its just damp rather than wet. You then use this to 'bounce' your foundation onto your face (I think stipple if the technical term). The round sides of the sponge can be used to apply foundation to large areas of the face and the pointy tip can be used for those fiddly areas like around your nose or eyes. The bouncing method is not the quickest way to apply your base but if you do have the time I'd definitely recommend at least giving this a try as it gives such a lovely almost airbrushed finish to your makeup. I personally think the finish is due to the combination of patting the foundation onto your face and using the sponge damp. Like a setting spray applied after completing your makeup sets it in place I think the damp sponge sets your foundation in place as you go. I've been using this with a BB cream and I've found that it provides a lovely finish and makes the BB cream last longer on my skin. So if it works this well with a BB cream imagine how well it would work with something with a higher level of coverage. I haven't tried washing this yet but I believe it's super easy with the solid cleanser. I think you just wet the top, rub (or maybe swish?) 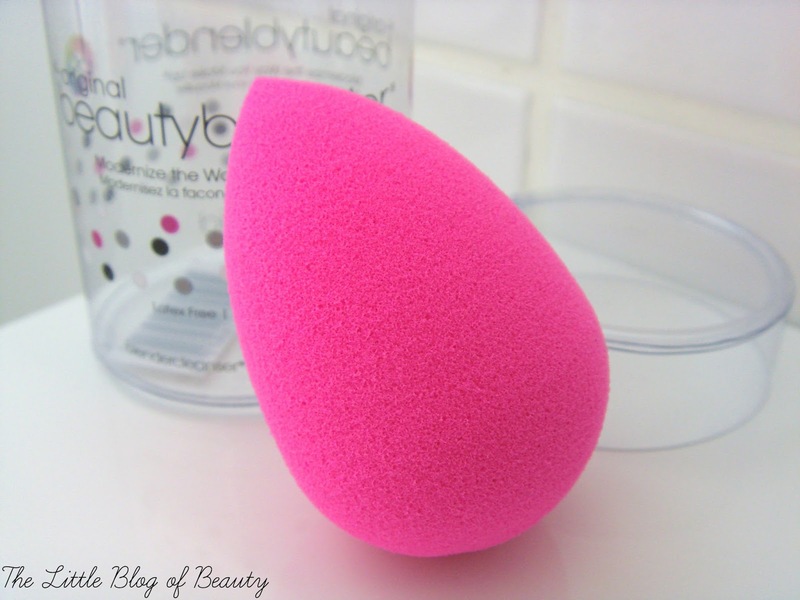 the Beautyblender or a brush in circles on the top and then just rinse. In terms of practicality I don't think this is really one for travelling with due to having to wet it and then having somewhere to store it to dry. I wouldn't be happy to drop this back into a makeup bag while damp as I'd want to leave it in the open air. But at home this obviously isn't a problem. When I'm at home and I've got the time to spend a little longer applying my makeup I will definitely be using this to get a lovely airbrushed finish for my base. 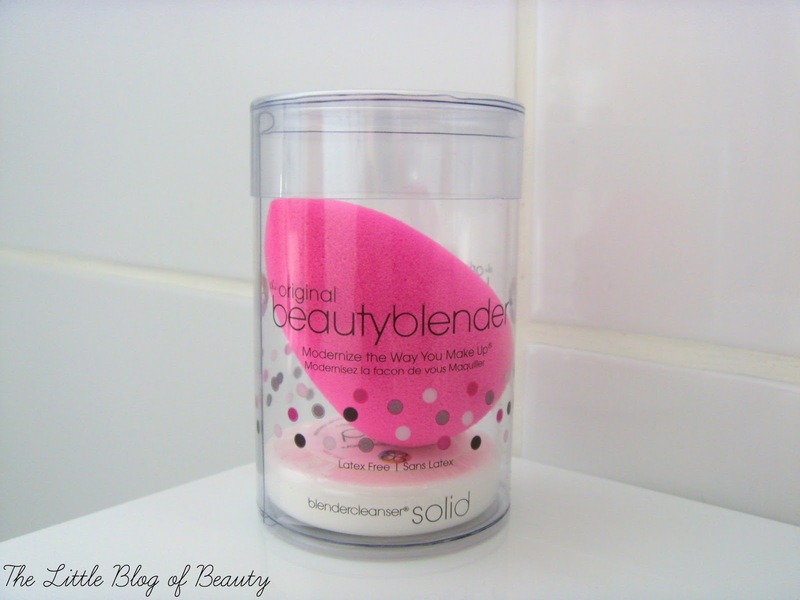 Have you tried The Original Beautyblender?